The new build, which includes a Bluetooth car audio fix, is available for first and second generation Pixels. Installing the OTA files doesn't recquire unlocking your device's bootloader, but does require that you're running the current official build, while the system image installs no matter what software is running, but requires an unlocked bootloader (and wipes your phone). 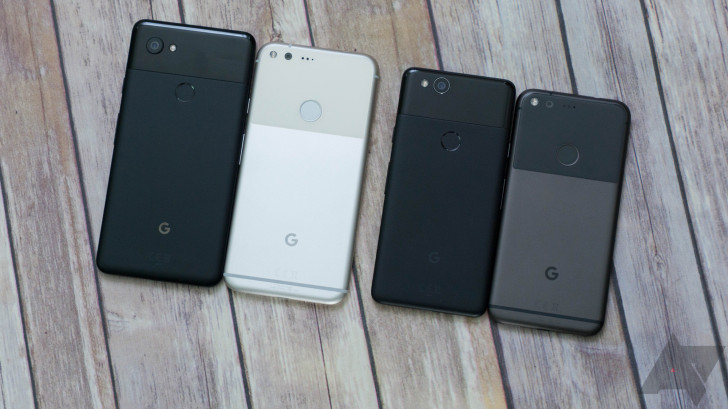 For the Pixel 2 and 2 XL, there's just one build option, but for the Pixel XL and Pixel, there are separate versions for Telus and Verizon. While downloading these files and images from Google is generally the fastest way to get a new Android build, it's important to note that Essential has managed to produce its September Pie update with lightning-quick speed, and users can now check the settings on their device for an update. As it stands, it's a fairly minimal update, and, somewhat disappointingly, there's no mention of a fix for the 2016 Pixel quick charging bug. Meanwhile, the standard September Android security bulletin includes a list of security vulnerabilities including a system issue that could allow a local attacker to bypass user interaction requirements to gain access to additional permissions. New Android 8.1 factory images and OTA files are also available for the Pixel C, Nexus 6P, and Nexus 5X, delivering September patches.